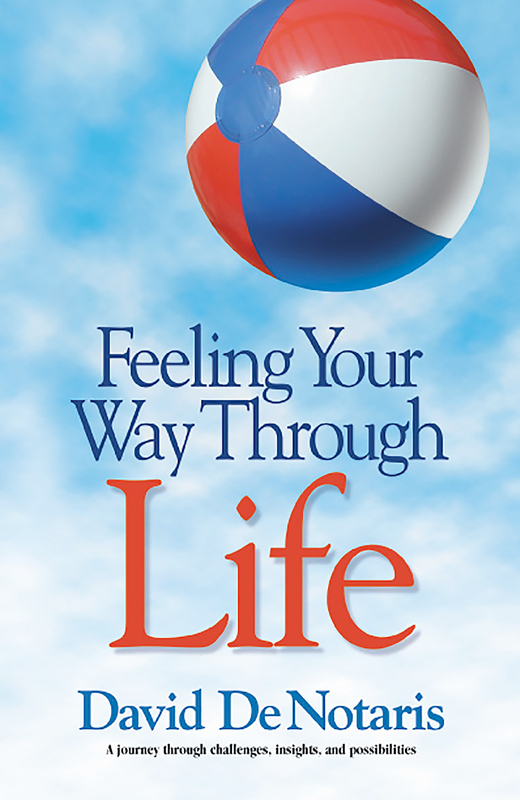 Welcome to the official website of motivational speaker & author David DeNotaris. Dave’s new book is available now! Here’s what some of David’s peers in the field are saying about his new book. Click here to buy the book online now! David’s powerful message of overcoming obstacles, rebounding from setbacks and facing fears is one that every company group or organization needs to experience! David was born with a rare eye disorder Retinitis Pigmentosa (RP) the Doctors wrote David’s life off recommending to his family “he’ll never amount to anything you’ll have to take care of him for the rest of his life why not put him in an institution.” Through the hard work, dedication, and creative problem solving skills David has risen to National prominence and inspires tens of thousands each year! 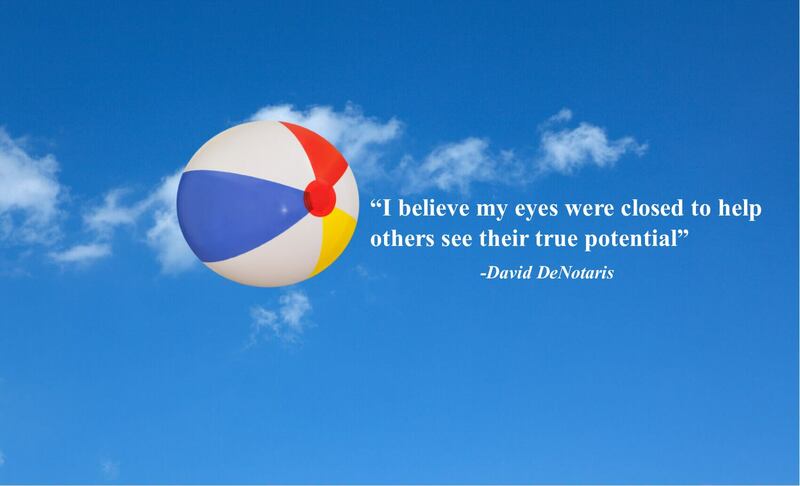 David De Notaris is an authority in stimulating human potential, David’s customized presentations bring insights that will teach and motivate your group to new levels of achievement. David’s messages change people’s lives! Your group will profit from booking David De Notaris! We honor all bureau contracts; maintain fee integrity and we’re happy to work with you to secure an agreement. We provide you with first-class, professional Marketing materials, which are bureau friendly. We have included a few of the forms that meeting professionals request most often. 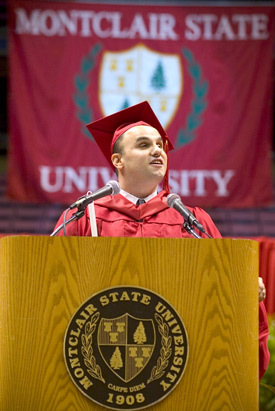 David was nominated and selected to deliver the keynote graduate address for Montclair State University at the Continental Airlines Arena for over 17,000 in attendance. I felt the speaker was relatable, so perfect and exactly what we needed to hear at this point in the semester. The speaker and meditation were both great! Enjoyed David’s presentation, nice to hear his experience. He had good insight. The guided reflection. It was something I don’t get to do that on my own a lot. The guest speaker, David. I really enjoyed his entire speech, I think it was amazing as well as very inspirational. Really set the mood for the entire day. My favorite part was the guest speaker, David DeNotaris. It was interesting and deeply moving. My favorite part was the speaker David. He provided amazing insight that I never heard before. I loved his quotes I’m a person who is all about the quotes to meditate on! David DeNotaris, I read his book and remember doing an assignment on his work. It was nice to see him in person. The guest speaker because I felt a connection in the material he spoke about. The speaker and our hosts. Our host had a lot of positive energy which made me happy. The speaker motivated me and made it clear that successful people have to work hard and be giving. David, I take pleasure from passing on and sharing books that I enjoy with family and friends. With each story and lesson from your book: Feeling Your Way Through Life, I thought of another person who could benefit from your life’s lessons. There is something that everyone can learn from this book.